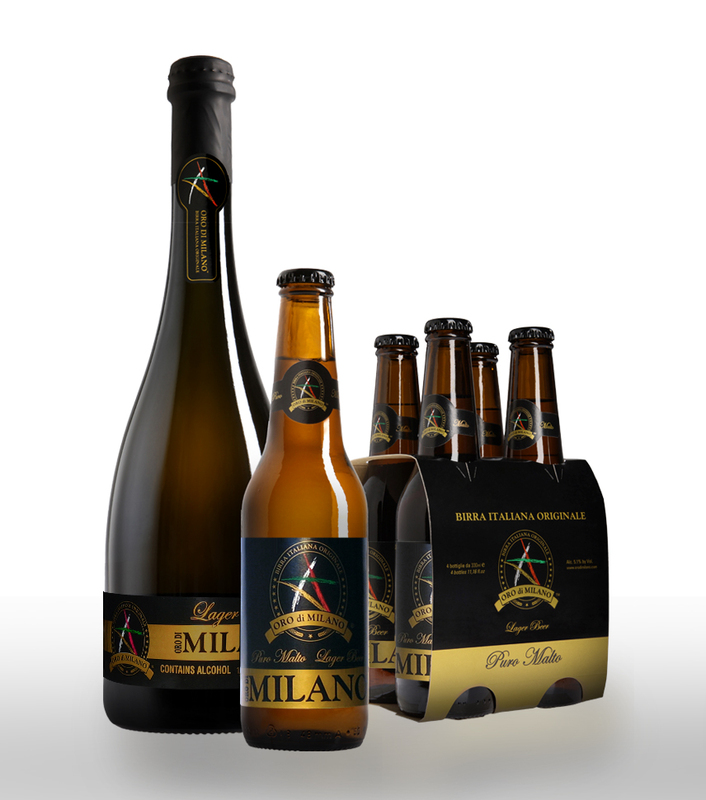 Bere Italia Srl, an Italian company specializing in the production, selection and distribution of beer, wine and alcoholic beverages, presents Oro di Milano, 100% Italian beer, fresh and genuine, an exclusive recipe inspired to tradition and enhanced by expert brew masters. It’s a high-end product, meeting the most demanding requirements in terms of taste and quality. Oro di Milano beer is available in the Puro Malto, Doppio Malto and Riserva Speciale versions. Oro di Milano Puro Malto (Lager, Alc. 5.1%) is a low fermentation blonde beer with an intense straw color. Striking with its intense and pleasant malt flavor and persistent hops smell, it is a fresh and light beer, versatile for combinations, with a pleasant and refined flavor. Oro di Milano Doppio Malto (Premium Ale, Alc. 6.5%) is a refined specialty. The valuable malt obtained from selected barley lends a peculiar intense golden color to this beer. Honey and caramel flavors caress the palate until the last sip. Oro di Milano Riserva Speciale (BrownAmber Ale, Alc. 8.2%) is the highest brewing expression of Oro di Milano. With a captivating amber color, this beer is based on an accurate mix of selected malt and fine aromatic hops. With its perfect balance between body and alcohol, persistent spicy and liquorice flavors, it is ideal for rich and structured dishes. Oro di Milano has already obtained several acknowledgments and prizes all over the world, including a silver medal in the Strong Ale category awarded to its Riserva Speciale in 2012, and a bronze medal for pure malt beers in the European Lager category at the San Diego International Beer Competition 2013.